The world’s largest oilfield services firm has decided that it should take an ownership stake in upstream oil and gas production, rather than simply provide the services for doing so. The new strategy is being closely watched as a potential model for the major oilfield services companies that have drilling prowess but struggle with lackluster activity in a world of $50 oil. Schlumberger has decided to put billions of dollars on the line to become an oil producer, not just a drilling servicer. Typically, Schlumberger and its peers provide equipment, or seismic testing, or well casing and fracking services, or the analysis of oilfield data, etc., while their clients—oil producers—have ownership over the oil and ultimately sell it into the market. By buying ownership into oilfields, Schlumberger can have “a say in drilling decisions, oilfield management and even on hiring other Schlumberger units for service contracts, the company has told investors,” Reuters reports. 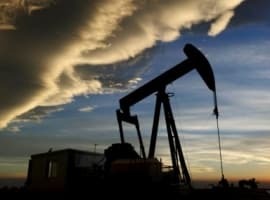 And as Reuters explains, by controlling a drilling project, Schlumberger can carry out the entire project rather than merely being a bidder on the variety of narrow jobs that go into oil production, an approach that often means it only wins some contracts on a given project while losing out on other bids to competitors. Although it’s still early, there’s some evidence that the approach is bearing fruit. The return on capital employed for Schlumberger Production Management (SPM), the name of Schlumberger’s oil production unit, was seven percent higher between 2011 and 2016 than the rest of the company’s units, according to Market Realist. 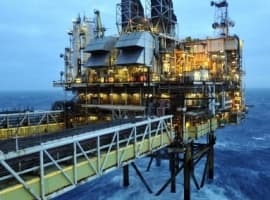 But its recent $700 million investment in a joint venture on oil exploration in Nigeria illustrates the risks involved. 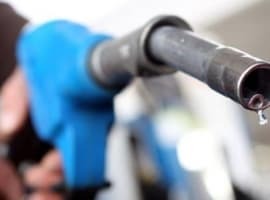 Reuters says its partnership with the Nigerian National Petroleum Corp. would need oil prices to trade between $50 and $60 per barrel to earn a 20 percent profit. Brent crude trades at the lower end of that range and some analysts do not see it moving closer to $60 in the near future. Also, Schlumberger wrote down hundreds of millions of dollars in an Eagle Ford project that went sour when oil prices crashed in 2014. Another issue: Some now see Schlumberger somewhat competing with its own clients, since it will also be an oil producer. It may seem a bit awkward since Schlumberger depends on those other oil producers for the bulk of its business. Schlumberger has downplayed the prospect that it is competing against its clients. There are a few significant ramifications from Schlumberger’s new approach. First, it turns Schlumberger into a sizable oil producer in its own right. Reuters says that Schlumberger had 230,000 bpd of oil and gas production under its control at the end of last year, which puts it on par with some of the largest shale producers in Texas. More importantly, it could lead to a change in strategy for the entire oilfield services industry. By taking stakes in oil projects, Schlumberger ends up boxing out its competitors by “winning” all of the contracts for oilfield services on that project. Reuters cites a project in Morocco with a small UK-based natural gas producer. Sound Energy PLC gave all the services contracts to Schlumberger if the latter bought a 27 percent stake in the project. By putting up the money, Schlumberger earned the rights to 27 percent of the earnings of the project, while also carrying out all the services as well. Sound Energy brought on a partner with world-class drilling capabilities while also reducing its financial risk. Related: Is Russia Pushing Saudi Arabia Out Of Asia? But importantly, the deal prevented Schlumberger’s traditional rivals in the oilfield services industry from having the ability to bid on any of the service contracts. Analysts are closely watching to see if Schlumberger’s nearest competitors, like Baker Hughes or Halliburton, follow suit. That will likely depend on how lucrative it turns out to be for Schlumberger. Up until now, it seems to be a mixed bag for the oilfield services giant. And this is being done in the world where oil demand is going down due the boom of electric vehicle push. Either Schlumberger is foolish, or the people betting on electric vehicles too much in short term don't know the whole picture. IMO Schlumberger is genius. Getting in cheap. Anyone betting on the EV market, long or short, does not know the whole story. Or they wouldn't be betting on it in the first place. The EV market is paralleling the solar industry's path of overhyped promise which led to overinvestment and then bankruptcies and consolidation. We'll see a fallout soon in EV OEM's, one of the first was Fischer, which was bought by Karma, and makes a $130K POS. Major players like Tesla will follow as soon as subsidies dry up. I wonder if they are getting ready for the Weald Basin result(They will see it 1st) and it may be open to a farm in. All hail the "Gatwick Gusher"
Its gonna be interesting to see if Schlumberger can afford its own service s....just sayin. Excitement over EVs is a scam. Unless the electricity to power those EVs is produced from 100% renewable sources, replacing combustion engines with electric motors is going to increase fossil fuels consumption because of double energy conversion (fossil fuel energy to electricity then electricity to mechanical energy). Being so big, thinking they can now be producers just makes me think....if I was a producer, paid millions for services to Schlumberger, do you think I would have them as a service company any longer now they are a competitor that has a lower overhead on services? The producers will get other service companies, Schlumberger will drill a few dry holes, lay off more employees to make sure management bonuses are paid, have noone in the field (almost like now) then say it was someone elses fault, take more massive bonuses as management leaves quickly as it all falls. Halliburton attempted this several years back with the expected disastrous results. Competing with the oil companies cost them business.